But as a New York Times columnist asked in 2017, "What if Ken Starr was right?" What if the popular media in the 1990s completely misunderstood Starr's motives, his tactics, and his ultimate goal: to ensure that no one, especially not the president of the United States, is above the law?Starr -- the man at the eye of the hurricane -- has kept his unique perspective to himself for two full decades. In this long-awaited memoir, he finally sheds light on everything he couldn't tell us during the Clinton years, even in his carefully detailed "Starr Report" of September 1998. 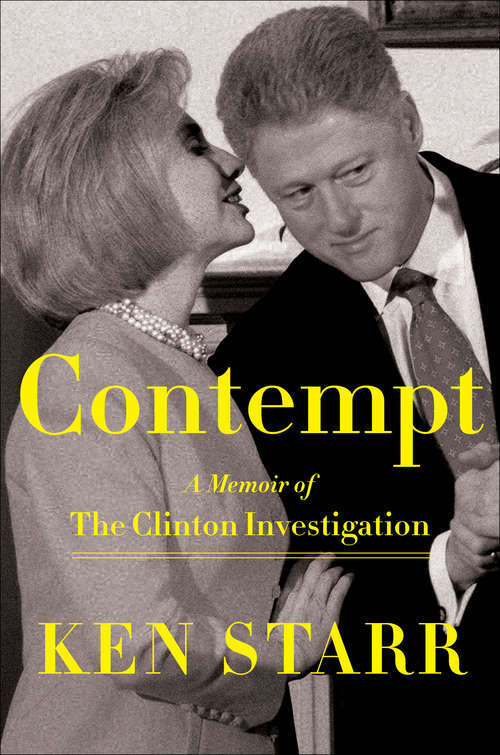 Contempt puts you, the reader, into the shoes of Starr and his team as they tackle the many scandals of that era, from Whitewater to Vince Foster's death to Travelgate to Monica Lewinsky. Starr explains in vivid detail how all those scandals shared a common thread: the Clintons' contempt for our system of justice.This book proves that Bill and Hillary Clinton weren't victims of a so-called "vast right-wing conspiracy." They played fast and loose with the law and abused their powers and privileges. With the perspective we've all gained over the past two decades, Starr's story and insights are more relevant than ever.